I’ve been “under the weather” with a sinus infection that has plagued me since Thanksgiving. I finally gave up Monday and went to the doctor and got a “Sinus Cocktail” shot in the backside. Dang, did it hurt. The medicine going in actually hurt about 500 times worse than the needle. I could still feel the medicine under the skin at the shot location for a couple of hours. It was a pretty strange feeling. The shot kicked that infection to the curb quickly so it was worth the pain and strange feeling. Since I’ve been sick through Thanksgiving and Christmas, our house was a mess. I looked at Bill at one point and said how do hoarders stand it? I took over the guest room for my sewing room since the kids rarely come and spend the night. It’s just easier for us to go see them than for them to load up the kids and come here. One of them did come see us at Thanksgiving and another right after Christmas. That meant pulling a good bit of my sewing stuff out of the room and into our bedroom so we could open up the futon for them to sleep. So for the last 6 weeks we’ve had a pathway from our bedroom door to each side of the bed and into the bathroom. It’s made me almost claustrophobic. I had planned to get the house back in order this week, finish up some sewing, and do some meal planning. That didn’t happen. In addition to the shot that knocked the sinus infection out, I got a prescription for a new medication, Metformin. I had a horrible reaction to the new medication. Instead of the classic rash and itching, I was dizzy, felt weak as a kitten, went from having chills to sweating like I had been digging a ditch, all the color left my face and I was short of breath. I was nauseous. I had severe pain from my breast bone down into my stomach. My first thought was that if I just sat down for a little while it would go away. That lasted about ten minutes (if that long). Honestly, I was scared. Really scared. I gave in and called Bill to come take me to the ER. I had begun to wonder if I was having a heart attack. I prayed almost constantly that God wouldn't let me die. Going to the ER was as bad of an experience as what I was experiencing physically. When we got to the ER, I was in so much pain and was so weak that I couldn’t walk into the ER. Bill got a wheel chair and rolled me in. The attitude of the triage nurse should have been our first clue to go somewhere else but this was our ER of choice. We’ve both always received excellent care there. I’m not sure if he just didn’t want to be there or if he didn’t want to be taking care of me. 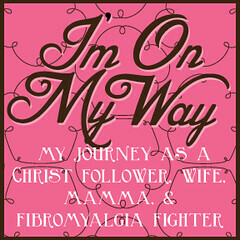 Sadly, so many in the medical profession still do not believe that Fibromyalgia is a real illness. 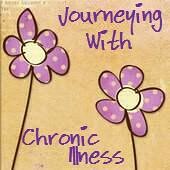 When we named off my diagnosis – Fibromyalgia, Myofascial Pain Syndrome, Sjogren’s Syndrome, Chronic Fatigue Syndrome, Neuropathy and Severe Edema – the nurse looked at me like I had just said I was the Easter Bunny. When he looked at my list of medications, all sixteen of them, I became the Tooth Fairy as well. Both of us told him that two of the medications were new and I had only had one dose of each. When I got into a room, the first thing my nurse said was that I had to stop breathing so fast. Her theory that she maintained the six hours we were there, was I was having an anxiety attack and my dizziness was a result of how fast I was breathing. We both assured her that I’ve never had an anxiety attack and that this wasn’t one. I was in a tremendous amount of pain and short of breath from whatever was wrong. Every time she came in the room, she told me to slow my breathing down because I was hyperventilating. Every time she said that, I told her that my breathing was due to the pain. We told her multiple times that two of my medications were new and I had only had one dose of each. It was also pretty obvious she thought I was a drug seeker. Why would I come to the ER for narcotics when I have prescriptions for two narcotics for my fibro pain? If I was there for drugs, why did I not ask for something for the pain? 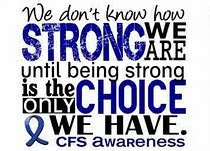 I was afraid to take anything because I didn’t want to mask the pain until I had a diagnosis. The only shining star of my stay was the doctor who was thankfully Fibro friendly. When I explained that the pain was nothing like my normal pain, he understood what I meant. Bless his heart; I think that was the only thing he understood. As I was describing my symptoms, including the feeling of my skin crawling, the look on his face said he was confused. I looked at him and said “this is making no sense is it?” He honestly said that it wasn’t but I was at a loss to know any other way to describe it. We told him that two of my medications were new and I had only had one dose of each. While we were there I had a CT of my head, a CT of my chest and stomach, a chest x-ray, two sets of heart enzymes and blood work to check my kidneys, liver, and pancreas function. At no time did anyone address the possibility of a reaction to the two new medications that I had only had one dose of each. I finally agreed to take pain medication and was given a second medication through my iv. Later I asked the nurse what the second medicine was. She sputtered and finally said it was something for the nausea. We were very surprised to find out that it was actually an anti-anxiety drug. Had they not given us a sheet of the tests they had run and the medicine they gave me to take to my doctor, I would have never known what I was given. When I was discharged, the doctor told us that he didn’t know what was wrong but that he could assure us that it wasn’t life threatening. He never paid any attention to us telling him that that two of my medications were new and I had only had one dose of each. I was given prescriptions for pain medication and an anti-anxiety drug. When we got home, I called our daughter and told her what had happened. Her first comment was that it was a reaction to the Metformin. Our son-in-law had had problems with it. The next morning Bill took me to see my nurse practitioner to follow up. I was in as bad of shape then as I had been the day before. She looked over the lab results from the day before and said “it’s a reaction to the Metformin”. By this time, I was dehydrated because it had been over 24 hours since I could eat or drink. I could barely walk and was still in severe pain. The staff quickly went to work and got me on oxygen to make it easier to breathe. Labs were drawn. They hooked me up to a bag a fluids that not only hydrated me but helped to flush the Metformin from my system. We left there about two hours later and I felt like a new person compared to what I did going in. This all started Tuesday morning and it’s taken until today for me to get back to normal. I’m angry at the treatment I received at the ER. The administration of the hospital knows that I’m angry and I look forward to the response to my letter. How hard would it have been for the doctor or the nurse to look up reactions to my new medications? How much time and money would it have saved? I think that it’s so sad that these “health care professionals” paid no attention to what I was saying. One of us would be telling the nurse something or asking her a question and it was obvious that she wasn’t paying any attention to us. She had labeled me and diagnosed me within the first five minutes I was there. I worked in a large ER for five years. I've seen first hand that this labeling happens for good reason many times. I know that it’s not just those of us with chronic pain that it happens to. I know that it’s wrong but there’s not much we can do to change the minds of people that do this labeling. What I pray never happens as a result of this labeling is irreparable damage to a patient’s body. Or worse yet, a death. I’m thankful that my nurse practitioner was alert and immediately recognized the problem. I’m afraid that she and the doctors she works with are part of the last of the health care professionals that care for their patients. I’m afraid of the results of the health care reform that will result in socialized medicine in our country. My day at the ER will become the norm instead of the exception. How many people will not get the care they need because they are wrongly labeled? How many people will die needlessly? I have had similar ones here in Canada in ERs. Now I tell my husband that unless he is SURE I am dying to not take me to an ER. I'm not kidding. Socialized medicine isn't much different than private anymore- the healthcare providers don't listen or are dismissive. My theory is that the "care" has gone out of healthcare in favour of the bottom line. It's all just a business: profit and loss. Glad to hear you are feeling much better, but that this kind of experience isn't unusual anymore. Hang in there.